Lisa Ford is a speaker with over 20 years of experience presenting to businesses, associations and government. Lisa Ford is a Certified Speaking Professional (CSP) and speaks throughout the United States and internationally on topics of customer service, leadership, team issues and change. Lisa Ford is best known for her work in the areas of customer service. She is the author of the videotape series How to Give Exceptional Customer Service, the #1 selling business tapes in the U.S. for over 3 years. Her other videos and audiotapes include: Developing a Customer Retention Program, Building a Customer Driven Organization: The Manager’s Role and Personal Power. Her recent book is Exceptional Customer Service – Going Beyond Good Service to Exceed the Customer’s Expectations. Lisa Ford designs content personalized to the audience and issues they face. She has also customized numerous videos for clients to use in their ongoing education efforts. Lisa Ford‘s experience includes working with Pfizer, Viacom, Edward Jones, CSX, Kaiser Permanente, Morton’s of Chicago, Citgo, American Gas Association, American Diabetes Association and American Veterinary Medical Association. In 2002, Lisa Ford was awarded the CPAE- Council of Peers Award of Excellence and was inducted into the Speakers Hall of Fame by the National Speakers Association. She is one of 170 speakers who have been honored over 30 years. 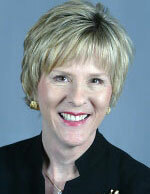 She also serves a Board Member of the College of Arts and Sciences at the University of Tennessee. Exceptional Customer Service is an essential tool for business owners and managers who want to create exceptional customer service in their business. With over 70 years of combined experience in the customer service arena, the authors will help you make your business the best in delivering customer-focused service. Learn to: •	Create a positive first - and lasting - impression on customers •	Improve your communication skills so you can stay in touch with your customers •	The pros and cons of new technology - make sure that it gives customers what they need •	Find new ways to keep your existing customers, while recruiting new ones •	And so much more! This stimulating and enlightening book is a practical guide for understanding and utilizing our creative abilities. Lisa discusses how we are equipped with instruments of creation that are the matrix, the power, and the medium through which we create and shape our reality. The tools, innate within our Beingness, are presented along with three methods to align, magnetize, and manifest what we want in our lives.